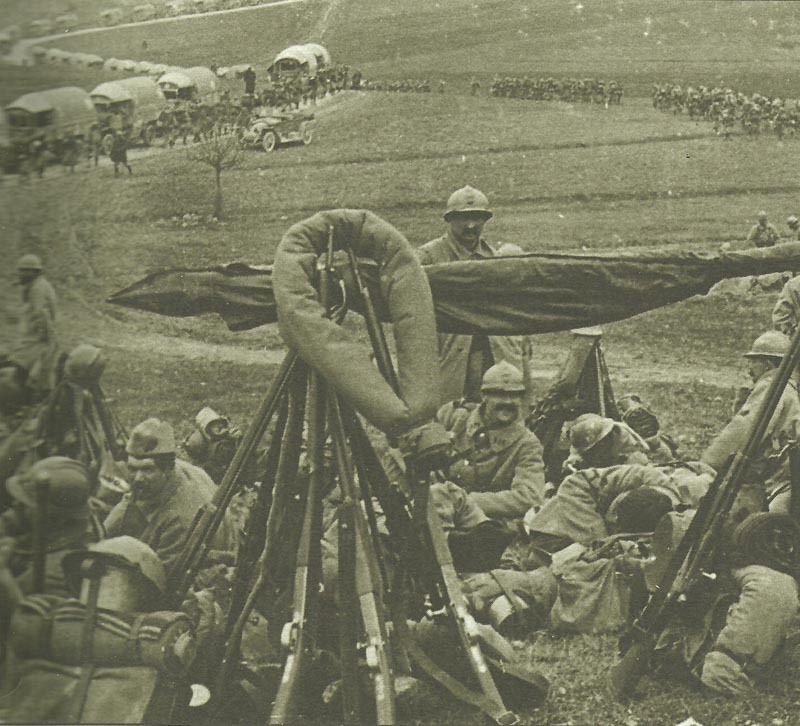 French reinforcements are rushed to Verdun along the vital supply route known as La Voie Sacree (The Sacred Way). Verdun: Petain reorganizes defences, halts withdrawal from Woevre. French retake La Feuille wood (night 27/28), defend Soupple village and d’Eix­-Abaucourt station. On north of Verdun front Germans attempt to enlarge gains east and west of Fort Douaumont. On bank of Meuse, Mort Homme ridge receives violent German shelling. Voie Sacree conveys 190,000 men (including 132 battalions or 11 infantry divisions), 23,000t ammuni­tion, 2,500t equipment until March 6. Champagne: Germans capture Navarin Ridge after 3 days shelling and repel French counter-attacks (1,000 casualties) until March 1. Albania: Austrians occupy Durazzo, but Italians form Valona entrenched camp in south for what becomes XVI Corps (3 divisions). Mesopotamia: British 13th Division (Gallipoli veterans) begins landing at Basra (until March 12). Western Desert: Senussi now occupy Farafra and Dakhia oases.